There’s an awful lot to like about Toyota’s mid-sized estate car, and not just the fact that it has an enormous boot. The latest chassis revisions mean it rides, steers and handles as well as some of the best cars in its class. It’s also available with a surprisingly punchy 1.2-litre turbocharged petrol engine, as well as Toyota’s tried and trusted hybrid powertrain, so it’ll surely appeal to anyone who's worried by the latest negative reports about diesel-engined models. Choose the right model and it’s not expensive to buy or run, either, and it comes with plenty of standard equipment and loads of active safety kit. However, this is not a good car for pounding big miles on a daily basis, and the cabin has all the charm of a dank coal bunker. 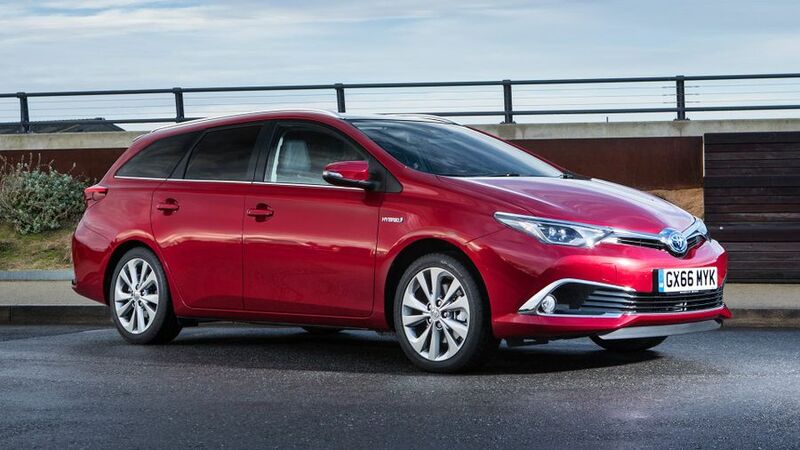 Interested in buying a Toyota Auris? While the public's rabid thirst for chunky SUVs shows no sign of abating, there’s still lots to like about a sleek-looking estate car. 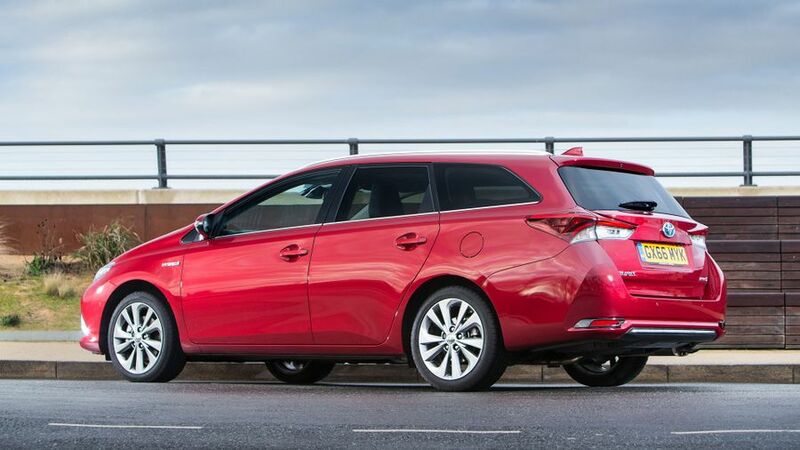 The Auris Touring Sports is just such a beast, thanks its stylish lines and neat detailing. It’s a fairly big car, but its low, stretched appearance means it hides its bulk well. The light clusters at both the front and rear are sharp, angular and modern-looking, and this theme continues throughout, with a trapezoidal front grille and a sharp shoulder-line running along the sides of the car. They reckon that, if ever a nuclear war broke out, cockroaches would be one of the few things to survive; them, and a Toyota interior. With a hewn-from-granite appearance and not the slightest hint of a squeak or rattle, the Touring Sports' cabin looks and feels like it will last for forever and a day. That’s great if you’re using your Auris as a workhorse, and shovelling all sorts of junk in and out of it daily, but the cabin is not exactly plush. Lacking the visual flair and soft-touch feel to be found in many rivals, the materials used are, at best, utilitarian, although most of the touch points - such as the switchgear and steering wheel - do feel substantial. 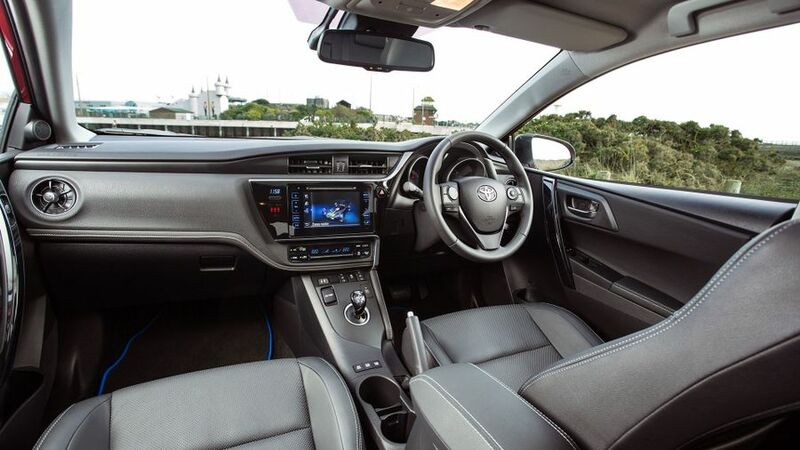 Likewise, the dashboard layout and the touchscreen for the infotainment system look rather passé, but at least everything is easy to use; and, except for the heated seat switches, which are hidden away in a little drawer, everything is laid out logically. Both the driver’s seat and the steering wheel have plenty of adjustment, so finding the correct driving position is a simple task. Visibility is fine up front, but the wide rear pillars and relatively narrow rear screen make seeing out of the back a bit tricky, which means the reversing camera (standard on almost all models) is an important ally. The Auris’s boot is a lot bigger than those in similarly sized SUVs and it’s a darn sight easier to pack stuff in, as the floor is so much lower to the ground. This Touring Sports is also a fair bit longer than the Auris hatchback that it’s based on, and almost all that extra length has gone into extending the load bay. For the record, the boot measures 530 litres with the back seats up and 1,658 with them down, and Toyota reckons there’s no penalty if you choose a hybrid version, as its batteries are stored under the rear seats. Even so, if you’re just looking for the biggest load lugger you can get for this kind of money, then the Skoda Octavia Estate is the kiddy. There’s plenty of head- and elbow room in the Auris’s back seats, and a shallow transmission tunnel means there’s also sufficient foot space even when travelling three-up. As well as a good-sized glovebox and, the Auris has cubbyholes aplenty, so you’ll never be wanting places to store your knick-knacks. We reckon it’s high time Toyota started making more of a song and dance about how well its cars drive, especially if this latest Touring Sports is anything to go by. For a start, it’s a very comfortable car, soaking up any uneven road surfaces that it comes across with ease. While the suspension is compliant, the movement of the body is also well controlled, so there’s not much wallowing in corners to contend with; and, this is complimented by healthy grip levels and steering that is both accurate and consistently weighted. It’s just a shame that more work hasn’t been done to combat the amount of road- and wind noise noise that finds its way into the cabin. Even on smooth roads, you always get the distinct impression that there’s very little sound-proofing in the wheelarches, and adding the optional full-length sunroof only serves to elevate the already-high levels of wind noise. There are two diesels, a couple of petrol engines and a petrol-electric hybrid available in the Touring Sports range. 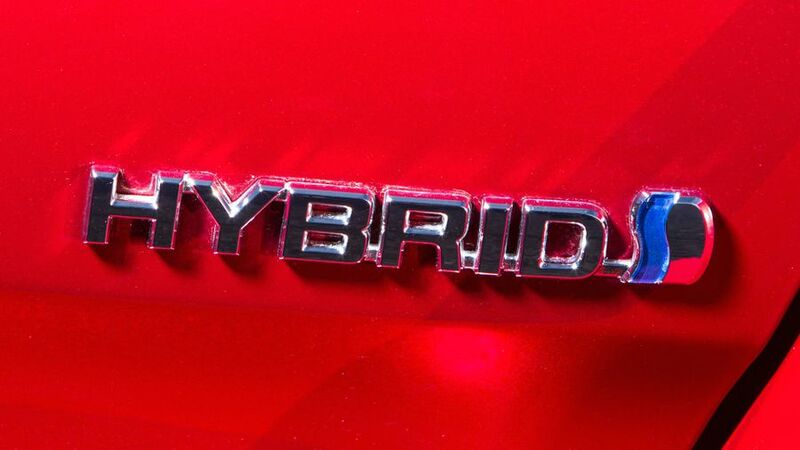 The hybrid is the familiar 1.8-litre petrol engine/electric motor combo used in many other Toyota hybrids including the Prius. For the most part, it’s quiet and refined, wafting you around in near silence at city speeds. Try to accelerate hard, though, and things start to unravel a little bit. Thanks to the CVT transmission fitted to hybrid models, hard acceleration leads to the engine making an awful lot of noise, which continues at cruising speeds on the motorway. The 1.2 petrol is a much quieter companion, and given its relative small capacity, it produces far more usable power than you might expect. It is a little bit reluctant at low revs - it certainly won’t pull second gear like a diesel engine does when crawling along in traffic - but it does rev smoothly and is more than capable of pulling the Touring Sports along in a brisk fashion. It’s easy to slip through the gears, too, as the clutch pedal is light and easy to modulate, while the longish gearlever slides between the gears with a slick, easy action. This is another area where the Auris excels. None of the models returns less than 51mpg on the combined cycle, with the most efficient being the 1.4 diesel, which returns 68.9mpg, and the petrol-electric hybrid, which averages 70mpg on 15-inch wheels. The most polluting Auris is powered by the old-school 1.33-litre petrol, which emits 130g/km of CO2, while the cleanest – the hybrid – emits 92g/km. This, therefore, will mean low tax bills, in terms of both company car tax and vehicle excise duty, as well as reasonably low fuel costs. Residual values are not quite as strong for the Auris as on some competitors, but low insurance groups and low-cost servicing and parts should help keep the overall cost of ownership manageable. Toyota has an enviable reputation for reliability - Warranty Direct’s Reliability Index shows Toyota to be one of the best-performing brands in the business, for example - and there’s no reason to suggest that the Auris should buck this trend. Not only does this mean that a Toyota is unlikely to break down very often, but if it does, it won’t cost all that much to fix. The Auris is based on some well-proven technology, too, so you’ll be unlucky if you have many issues with one of these. All new Toyotas also come with a five-year warranty, two more than you get from most mainstream manufacturers. Safety experts Euro NCAP haven’t tested the Touring Sports, but we can get a good idea of how it performs by looking at the Auris hatchback. Back in 2013, it managed the full five stars, scoring a commendable 92% for adult occupant safety, 84% for child occupant protection and 66% for its active safety assist systems. Every Auris comes with a multitude of airbags, anti-lock brakes, stability control and a tyre pressure monitoring system, as well as brake assist. This system works out when you’re attempting an emergency stop and increases the force applied to the brakes. You can also specify the Safety Sense pack as an option on all but entry-level Active models. This adds the pre-collision system, lane departure alert, automatic high-beam lights and road sign assist. It's an excellent package, and priced low enough that, if you want the added safety net, there's no reason not to tick that box in the dealership when you buy your car. 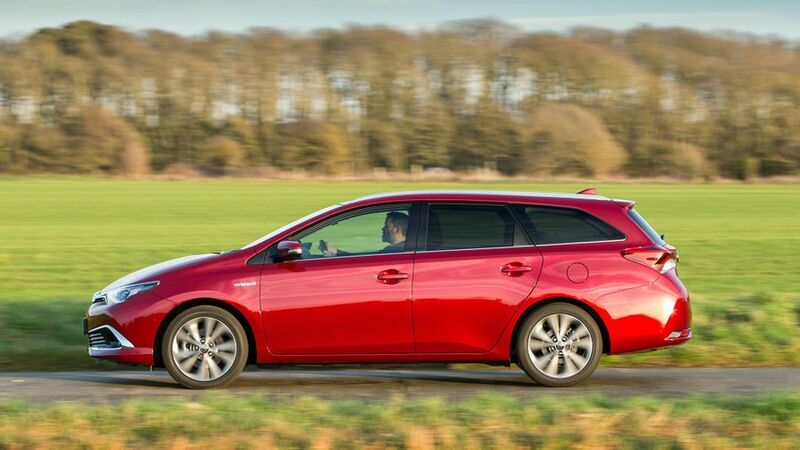 The Auris comes decently equipped as standard. Entry-level Active models get features such as Bluetooth, USB- and Aux-connectivity, air-conditioning, electric door mirrors and electric front windows; and, if you go for a Hybrid in entry-level trim, you get 15-inch alloy wheels, too. Icon adds 16-inch alloys (for non-hybrid cars as well), DAB radio, Toyota's Touch 2 infotainment system, rear-view camera, a 7.0-inch touchscreen, and leather interior highlights. Upgrade to the popular Business Edition model and you get cruise control, an upgraded sat-nav system and heated seats with lumbar support. Next up, Design versions add 17-inch alloy wheels, while top-of-the-range Excel models have velour and leather upholstery, dual-zone climate control, keyless entry and start, park assist with front and rear parking sensors, upgraded sat-nav, powered front seats, auto headlights and wipers and heated front seats. The Touring Sports is a car which does the job of transporting people and lots of luggage with minimal fuss. It may not be a particularly inspiring car to travel in, but it is comfortable and, overall, a pretty tidy car to drive, especially with the sweet-revving 1.2-litre petrol engine. It’s reasonably well equipped and available with a comprehensive suite of active safety kit. Throw in low running costs and legendary reliability, and it will no doubt be a popular choice with those seeking hassle-free motoring.